Lauren Bacall, the sultry presence who first hit movie screens in 1944 and then went on to play a series of sophisticated, tough-as-nails roles for the next six decades – even in real life – has died, the Humphrey Bogart Estate announced on its Facebook page. She was 89 and a longtime resident of Manhattan's Upper West Side. "With deep sorrow for the magnitude of our loss, yet with great gratitude for her amazing life, we confirm the passing of Lauren Bacall," said the Facebook message posted Tuesday night. Launched by a Harper's Bazaar cover when she was a 19-year-old model, the former Betty Joan Perske, born to Jewish immigrants in New York City, was signed by Warner Bros. in 1943. Whatever she may have lacked in acting experience, the willowy teen made up for with a certain grace that was made camera-ready by the great director Howard Hawks. Lauren Bacall, as she had been renamed, modeled her character in 1944's adaptation of a Hemingway novel, To Have and Have Not, after Hawks's stylish wife, Nancy "Slim" Keith, and delivered the immortal line to the grizzled Humphrey Bogart, who was 25 years her senior: "You know how to whistle, don't you, Steve? You just put your lips together and blow." A star was born. So was a legendary off-screen romance. "Everyone could see their love right there on celluloid," their son Stephen Bogart told PEOPLE in 1996. "He was the great love of her life, and she his." During their first scene together, "I realized that one way to hold my trembling head still was to keep it down, chin low, almost to my chest, and eyes up at Bogart," Betty, as she was always known, wrote in her 1978 autobiography, Lauren Bacall: By Myself. "It worked." 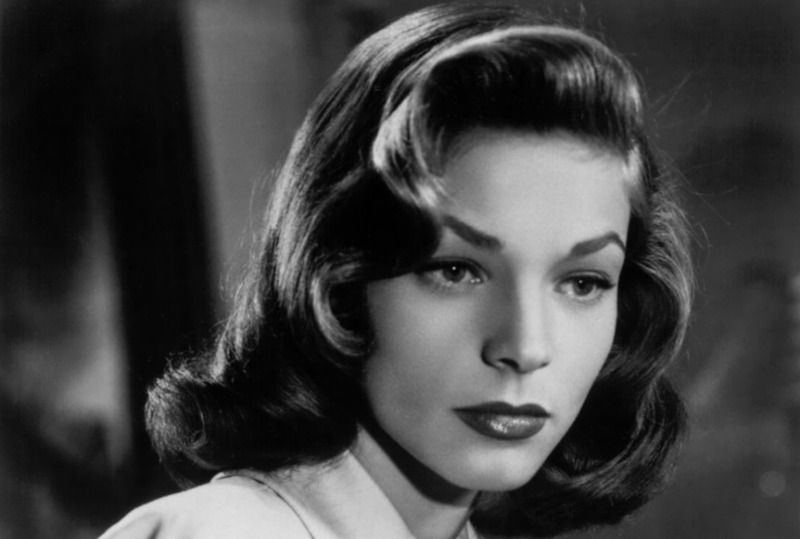 In fact, "the Look" would be known as Bacall's trademark. On May 21, 1945, shortly after Bogey's divorce from his third wife was finalized, he and Bacall were married on a friend's farm in Ohio. Three years later, son Stephen (named after Bogie's character in To Have and Have Not) was born, followed in 1952 by daughter Leslie (named in honor of Bogey's late pal, The Petrified Forest actor Leslie Howard). Then, tragedy struck in 1956, when Bogie was diagnosed with cancer of the esophagus. Bacall nursed him throughout the illness, and on Jan. 14, 1957, he died. Afterward, the devastation that Bacall, then 33, suffered was nearly indescribable. She and Frank Sinatra had an affair ("He behaved like a complete s---," she later said), then came a rocky, 12-year marriage to stage and screen star Jason Robards that produced another son, actor Sam Robards, but ultimately fell apart due to Jason's heavy drinking. Once Bacall left Hollywood for New York in the late '50s, she found a new career working on Broadway, where, despite her raspy singing voice, she won Tony Awards for the musicals Applause (1970) and Woman of the Year (1981). "The theater," she said, "has been fantastic to me." Filmmakers didn't forget her, either. Though she wasn't nominated, she delivered an Oscar-worthy performance as the widow taken with the charms of the dying Old West gunfighter played by John Wayne in director Don Siegel's 1976 The Shootist. Twenty years later, at age 72 (the same year PEOPLE named her one of the 50 Most Beautiful) she was nominated for Best Supporting Actress for playing the mother of Barbra Streisand's character in The Mirror Has Two Faces. Said Streisand, who also directed the film: "Lauren's special beauty is the reflection of her elegance, her intelligence and her invigorating will." Finally paid her due, in 2010 Bacall received a Life Achievement Award from the Academy of Motion Picture Arts & Sciences. And while the star always played down any praise that happened to come her way about her looks – "I always thought I had crooked eyebrows and crooked teeth. That's why I never understood why people called me a beauty" – she did once say, "[Comedian] Jack Benny told me I had perfect timing. That's probably the biggest compliment I've ever gotten."